MANCHESTER, England (AP) — During more than a quarter of a century in charge of Manchester United, Alex Ferguson has always found the way to win — and win again. 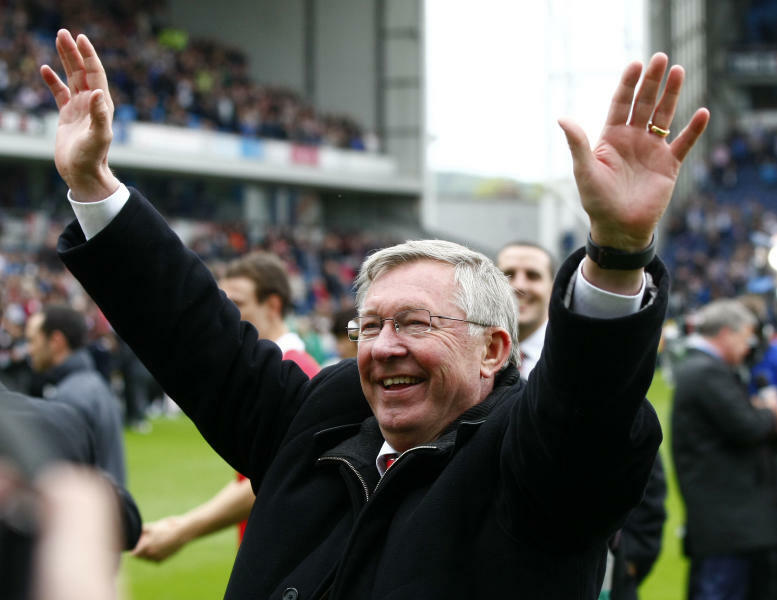 Scrappy, abrasive and always up for a fight, Ferguson turned the club into a global power and established himself as the most successful manager in British soccer history. And now, the 71-year-old Scotsman is going out on a high. On his own terms. 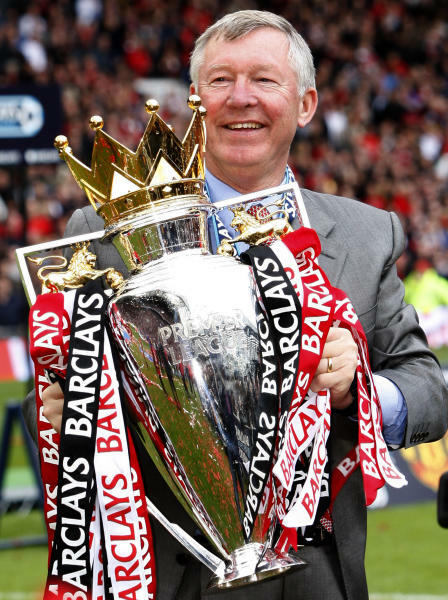 With his 13th Premier League title and 38th major trophy at United secured, Ferguson announced Wednesday that he is retiring at the end of the season. "The decision to retire is one that I have thought a great deal about and one that I have not taken lightly," the Scotsman said. "It is the right time." Since taking charge at Old Trafford in 1986, Ferguson's trophy collection also includes two Champions League titles, five FA Cups, four League Cups and the 2008 FIFA World Club Cup. "His drive, ambition, skill, passion and vision have not only shaped Manchester United, but in many ways the game of football as we now know it," Premier League chief executive Richard Scudamore said. Manchester United, owned by the American Glazer family and listed on the New York Stock Exchange, did not immediately announce a successor, but will need to act swiftly to stave off any market uncertainty. Everton manager David Moyes, a fellow Scot from Glasgow, is the front-runner. During 11 years at Everton, Moyes has overseen impressive results on a limited budget and enjoyed a long-standing friendship with Ferguson. "He is a first-class manager," Ferguson, who is being consulted on his successor, said of Moyes last year. United is valued at around $3.2 billion and is one of the world's most high-profile sports brands. Manchester United shares dropped more than 5 percent in early New York trading, but the losses were clawed back quickly. By late morning, the shares were trading at $18.42, down 1.3 percent. Few managers at United — or anywhere in global soccer — will come close to matching Ferguson's achievements. "It was important to me to leave an organization in the strongest possible shape and I believe I have done so," he said. "The quality of this league winning squad, and the balance of ages within it, bodes well for continued success at the highest level." 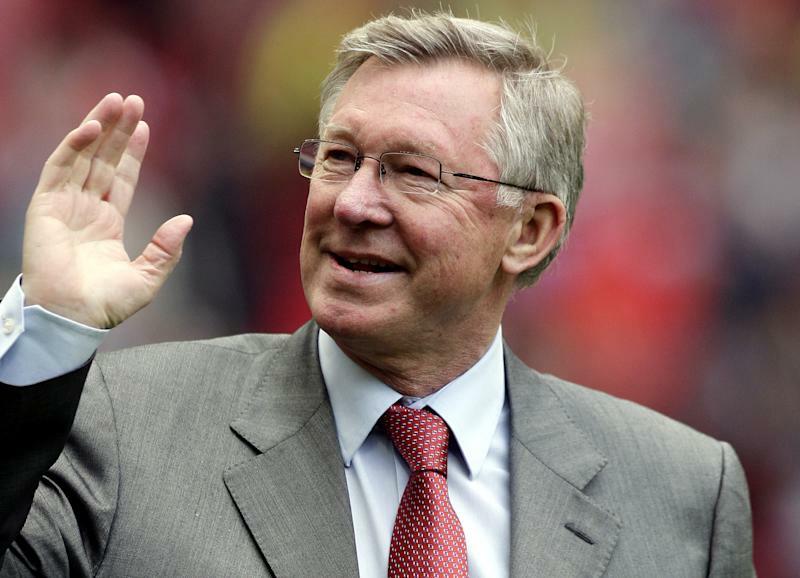 Ferguson reversed a previous plan to retire at the end of the 2001-02 season, but this decision seems final after Manchester United extended its record for English league championships to 20. United's last home game — a chance for fans to pay an emotional farewell to Ferguson — is against Swansea on Sunday. United then travels to West Bromwich Albion on May 19 in the final match for the man who has defined the club for nearly three decades. Ferguson will remain as a club director and ambassador. "His contributions to Manchester United over the last 26 years have been extraordinary and, like all United fans, I want him to be a part of its future," joint chairman Avie Glazer said. Ferguson's style was marked by a combustible temper. He often took out his ire on players, rival coaches, referees and the media. He has banned many reporters from the club over the years when he disputed their articles or line of questioning. United's highly-paid stars have long feared a raging Ferguson and his "hairdryer" treatment — a stream of in-your-face invective said to make one's hair stand on end. David Beckham was cut above the eye when Ferguson, furious at his team's poor performance against Arsenal in 2003, kicked a boot in the changing room and it hit the midfielder in the face. Fed up with Beckham's celebrity lifestyle, Ferguson sold him to Real Madrid, but there was no lingering bitterness from the former England captain. "The boss wasn't just the greatest and best manager I ever played under he was also a father figure to me from the moment I arrived at the club at the age of 11 until the day I left," Beckham, who now plays for Paris Saint-Germain, wrote on Facebook. Ferguson's legacy will also include phrases which have entered the soccer lexicon. "Squeaky bum time" is how he referred to the tense finale to a season. "Fergie Time" was coined to describe the additional minutes given by a referee in stoppage time when United so often scored under Ferguson. Talk of Ferguson leaving first surfaced following the club's golf day on Tuesday. When the official announcement came, it prompted an outpouring of tributes from inside and outside the game. FIFA President Sepp Blatter said on Twitter that Ferguson's "achievements in the game place him without doubt as one of the 'greats'." Michel Platini, president of the Union of European Football Associations, hailed Ferguson as a "true visionary." The announcement even grabbed the British media spotlight from the buildup to the State Opening of Parliament, where Queen Elizabeth II, who knighted Ferguson in 1999, was setting out the government's planned legislation. Prime Minister David Cameron, a member of the Conservative Party, hailing Ferguson as "a remarkable man in British football who has had an extraordinary, successful career." Ferguson has defined the modern era of success at United, resuscitating the fortunes of a club that was floundering when he arrived. He came to the club after having won a European title at modest Aberdeen in Scotland. While it took time for Ferguson to impose his leadership at Old Trafford, directors showed a degree of patience rarely afforded to current managers. "In my early years, the backing of the board, and Sir Bobby Charlton in particular, gave me the confidence and time to build a football club, rather than just a football team," Ferguson said. With his unwavering approach, Ferguson eventually produced his first trophy in 1990 — the FA Cup — and in 1993 the club won its first top division title since 1967. Since then, he has ended Liverpool's dominance by overtaking its previous record of 18 English league titles, and preventing Chelsea, Arsenal and — most recently — Manchester City from establishing themselves as forces. Now United will have to plan for a future without Ferguson in the dugout. "Alex's vision, energy and ability have built teams — both on and off the pitch — that his successor can count on as among the best and most loyal in world sport," United's chief executive David Gill said.